I told you about this polish and promised a review ages ago. The sun was still shining and I was at the beach enjoying my summer vacation. But I don't want to bother you with my inner struggles so here we go. This little guy/girl/it gave me a hard time. First of all, the picture doesn't even begin to describe how beautiful and special this shade is. It is an amazing apricot colour with subtle sheen, and "golden dust" in it. It really is special. 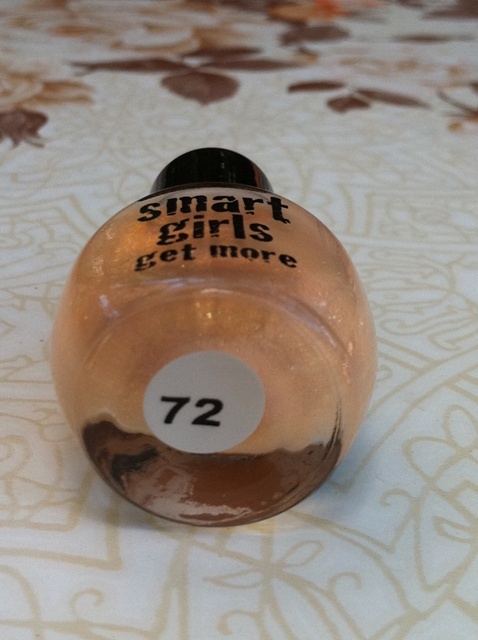 I saw it in DM (where you can buy polishes from this brand), in a 5.5 ml bottle. They cost 11,90 kunas (about $2.20, 1.10 GBP, 1.50 Euros). Since I don't think this is a part of their limited edition, I waited a little, then cracked and got it. If you want to read about summer LE polishes click here-yellow 47,here-orange 48and here-green 55. It has a small brush which is easy to manage and not bad at all. The consistency is a bit thin but nothing to worry about. It goes smoothly and I didn't experience any problems. As you will see in the pictures, I applied three layers but, in my opinion, two looked prettier because the shade looks more like in the bottle and it is not as milky. Opaque is not the best option for this polish because then it looses some of its dimension. I didn't apply base or top coat. I tested this one on its own. 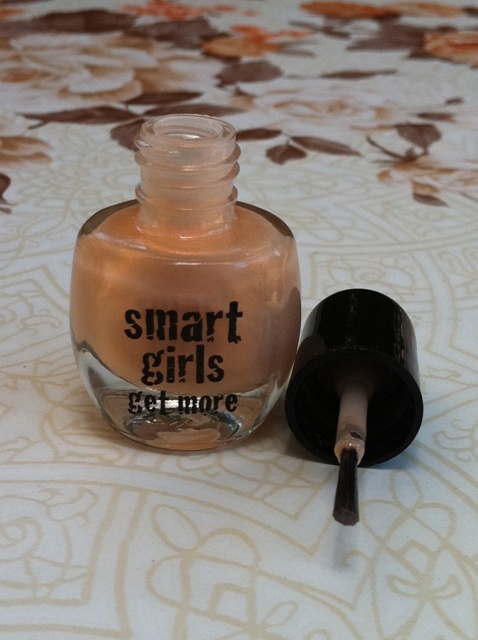 I was thrilled with this polish in the store and when I first applied it. Even my husband (then boyfriend) commented how pretty and sophisticated it looked, but sadly, this turned out to be one of the worst polishes I have ever tried, quality wise. It acted like a bad foundation. It turned orange on me. And, I wouldn't even be able to discover this if I hadn't applied it on my toe nails. There it stayed for two days (I didn't say without chipping), but on my hands it didn't last one afternoon. I applied it after lunch and went to the beach a couple of hours later, went for a swim and when I got out of the water, it was almost completely gone.... Leftovers were peeling off from my nails easy like butter. I tested it one more time, without sea in the equation, and if you will do ANYTHING in your house, any chore, ignore this one! It won't last you. 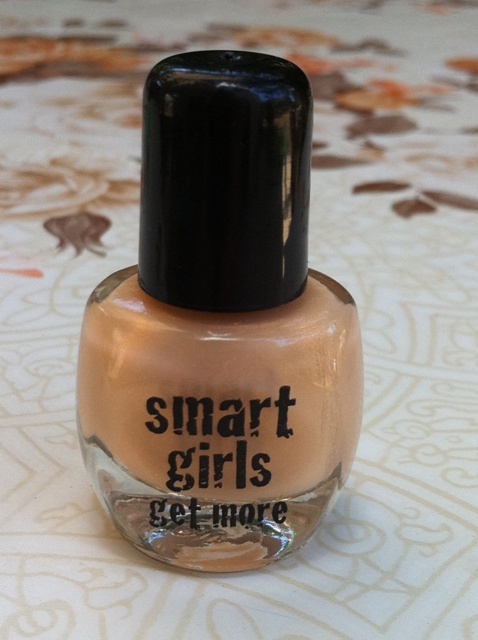 Base and top coat will help a bit but something is seriously wrong with this formula or I just got a bad one. 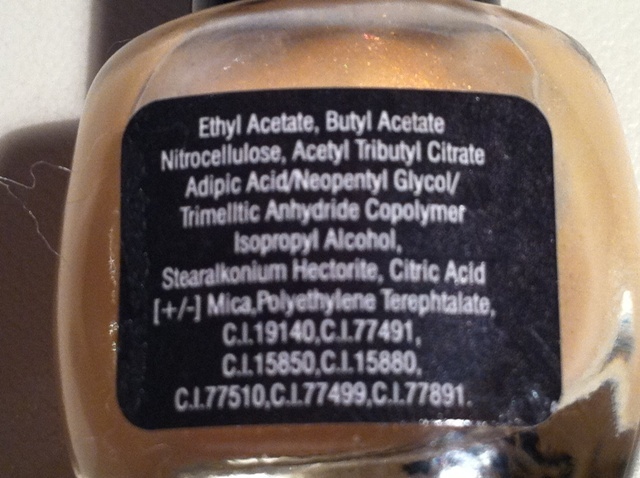 Let me know in the comments if you have any experience with this nail polish. What is your opinion on this one? Tried any other of their polishes?